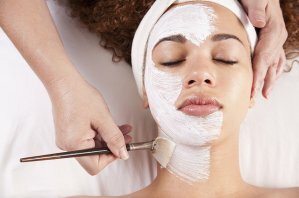 Home › Skin Care › What is an Esthetician? What is an Esthetician? Your Spa Experts, Explained. When you visit the spa, you enjoy a relaxing massage, you experience a manicure and pedicure, you restyle your hair, and you may even have some excess body hair removed. You know your spa specialists give you great results, but who are all these cosmetic experts? Each has undergone training in their specific field, and some have a specific license assuring you they are truly an expert cosmetologist. You know what a massage therapist is, and what a stylist does, but what is an esthetician? You have likely encountered an esthetician during your spa experience, so let us learn a little more about who they are and what they do. What is the definition of an esthetician? An esthetician is defined as a cosmetic professional who focuses specifically on the skin. They may work in a medical spa, or they may work in a hair salon and day spa, but either way they administer skin-related treatments. These treatments usually affect the outer layer of skin. Licensed estheticians have completed educational courses in their field, some completing specific training courses beyond the basics, allowing them to offer their clients a wider range of skin treatments. An esthetician focuses on skin-related treatments. This may include less-invasive treatments like manicures, pedicures, facials, body wraps, sugaring, and waxing, and more-invasive treatments like chemical peels, microdermabrasion, laser hair removal, electrolysis, permanent makeup, false eyelashes, and more. Someone may visit his or her esthetician to improve the look of wrinkles and other signs of aging, acne, or hyperpigmentation, which is the presence of dark spots or dark areas of skin, or they may visit an esthetician to relax and enjoy a day at the spa. What is the difference between an aesthetician and an esthetician? The difference between an aesthetician and an esthetician is simply how the word is spelled. Americans usually spell the word as “esthetician”, while Europeans usually spell the word as “aesthetician”. Here in Toronto we tend to stick with the American spelling, esthetician. Both words mean exactly the same thing, referring to someone who specializes in skin treatments. What is the difference between an esthetician and a dermatologist? An esthetician is a licensed professional that focuses on minor skin treatments affecting the outer layer of skin, the epidermis, only. A dermatologist, on the other hand, is a licensed medical doctor who diagnoses and treats skin conditions ranging from acne to cancer and performs more invasive treatments and surgery. Although an esthetician can improve the look of the skin, they may refer their client to a dermatologist for more serious issues or more invasive treatments. A dermatologist’s office may have an esthetician on staff to provide peels, laser, or other treatments that affect only the outer layer of skin while the dermatologist focuses on diagnosis, prescribing treatments, and surgery. How does an esthetician get a license? Licensing requirements for estheticians may vary in different countries, states, and provinces. Here in Ontario, estheticians generally complete a college course focusing on esthetics. Education may include medical topics such as anatomy, pathology, histology, physiology, and infection safety, business-related courses related to running an esthetics business and good customer service, as well as training in specific esthetic techniques and practical experience in a day spa setting. Not only do estheticians learn how to perform skin treatments, they also learn how to operate relevant equipment, how to assess skin condition, how to determine if a treatment is appropriate for a particular client, and how to minimize the risk of infection. The esthetician learns not only how to perform the treatments, but how to do it safely while maintaining professional ethics. Estheticians may also complete additional educational courses from the Canadian Aesthetics Association to receive their license. Throughout their career, estheticians may pursue continuing education, taking courses on specific esthetic treatments and new technologies to keep up with the latest esthetics trends. They may earn specific certificates to show they have completed training in laser hair removal or other esthetic treatments. Estheticians in Toronto generally complete a two-year college course, then they may complete other training courses to get their license. They may complete an apprenticeship to gain practical experience working in a spa setting, and they may continue to grow their education throughout their career. Estheticians may work alongside stylists, registered massage therapists, makeup artists, doctors, nurses, business managers, and others to make your spa experience complete. Together, these cosmetic experts can take care of your body from head to toe, helping you look and feel better. If you have always wondered who an esthetician is, and what they do in a spa, now you know. You may have just gained a new appreciation for your spa expert, knowing the years of education and experience it takes for them to get their esthetician license. Estheticians are more than someone who spent their teenage years perfecting the art of applying nail polish: their medical knowledge and training helps them determine the best skin treatments for you and allows them to perform the treatments safely and comfortably. All that education and experience helps your esthetician keep your skin looking as fresh and youthful as possible. Now that you know what an esthetician does, it is time to make an appointment with yours. Enjoy a manicure and pedicure, decorate your nails with some nail art, refresh your skin with an oxygen facial or microdermabrasion, relax with a body wrap or invigorate your skin with a scrub, get lash extensions or makeup for a special occasion, or rid yourself of excess hair with laser hair removal, electrolysis, or waxing. You can even consult your esthetician on advice for the best moisturizers, makeup, and other products for your skin type. Our team of estheticians can help with all of these treatments to help make your spa experience complete. To visit the licensed estheticians at Uptown Spa in North York, phone or book your appointment online today. Your skin will thank you.